Connected Performance improves organisational performance by improving management decision-making. It is a proven way to deliver improved outcomes and improved performance from finite resources. Our clients are typically CEOs, Operations Directors or General Managers seeking to enhance organisational performance. Business issues that make Connected Performance a perfect solution include: industry discontinuities; required step-changes in performance; best-practice transfer and coping with high volumes of unexploited operational and customer experience data. Although we perform moderately well, we want to shift to best-in-class operational performance and management culture. We need to achieve greater service and performance integration between our channels, branches or customer contact points. Results from our projects typically begin to flow after six weeks and Connected Performance projects can be cash-neutral within six months. They go on to deliver the perennial benefits of insight-led performance-driven culture. This is achieved by shifting the 20% of management time spent investigating and using data ineffectively into an efficient and productive decision-making and performance improvement culture. Connected Performance projects are therefore a cash-positive alternative to capital investment. 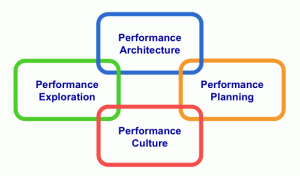 The outcome of adopting our Connected Performance approach is an insight-led, performance-driven organisation.